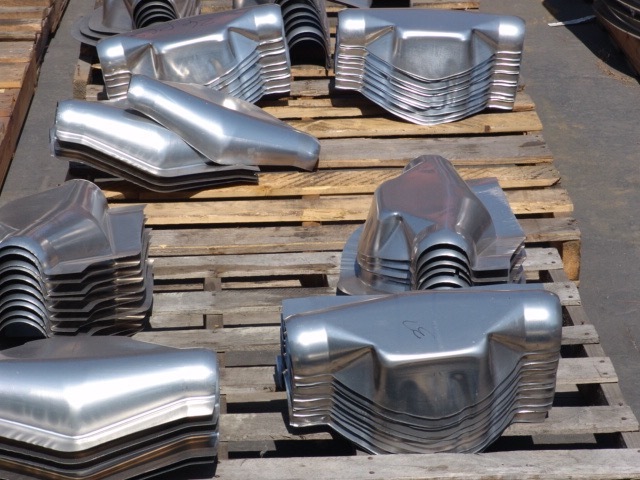 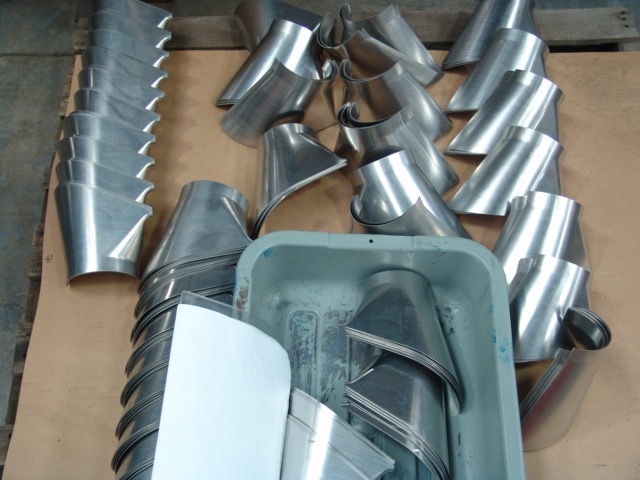 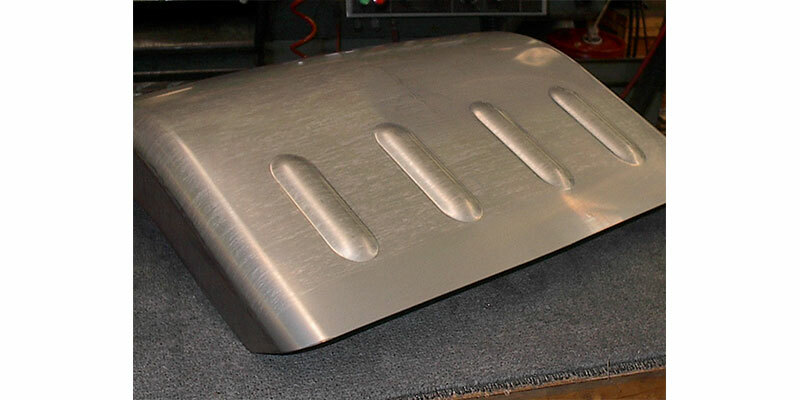 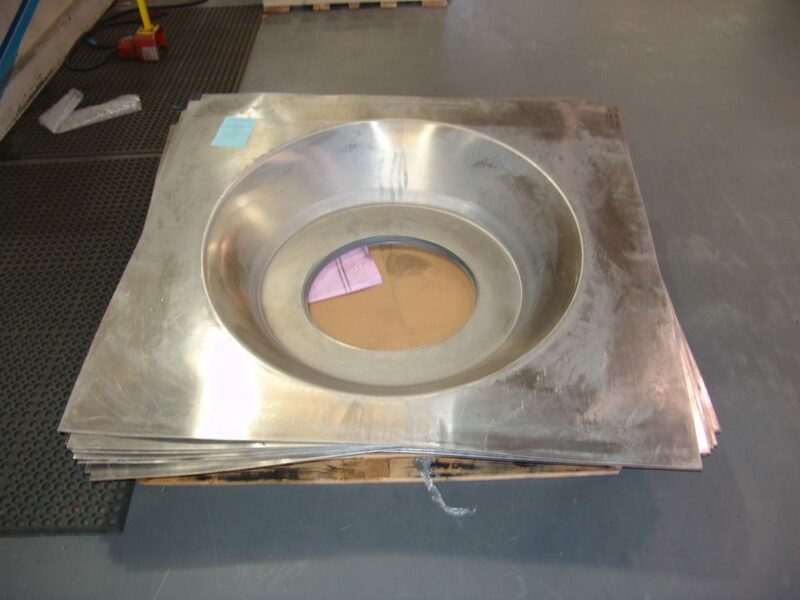 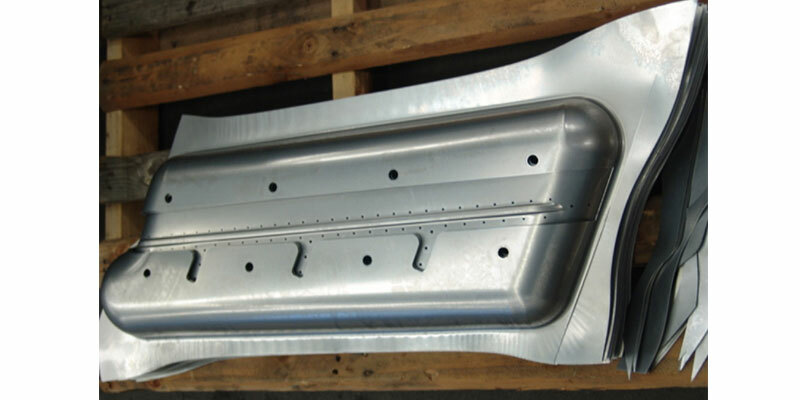 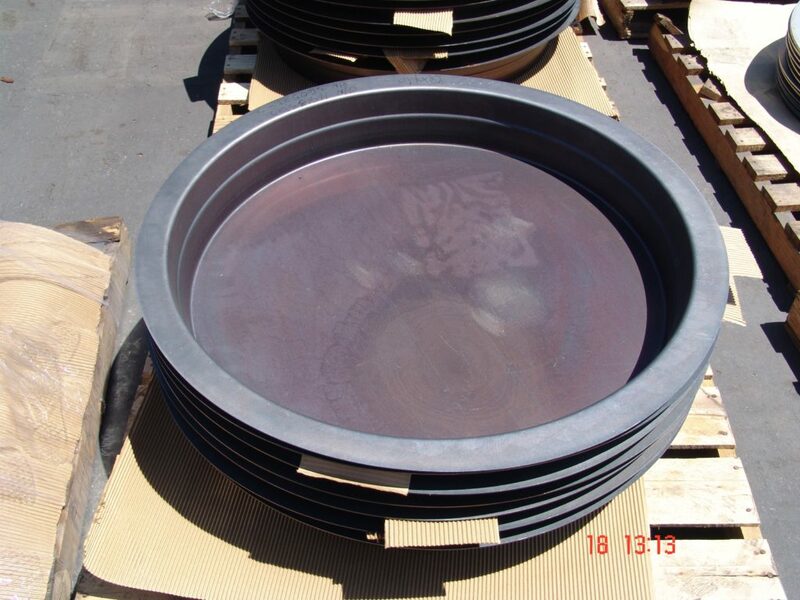 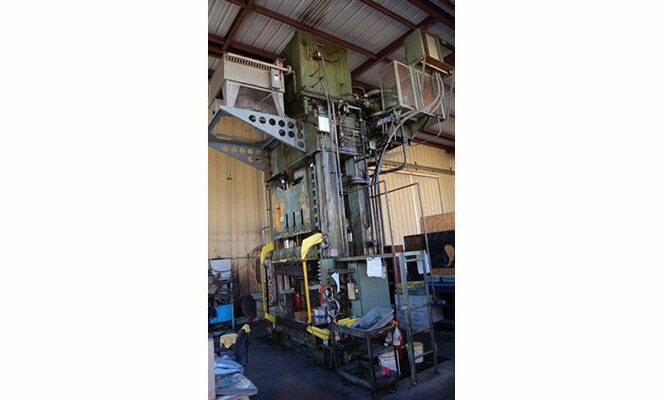 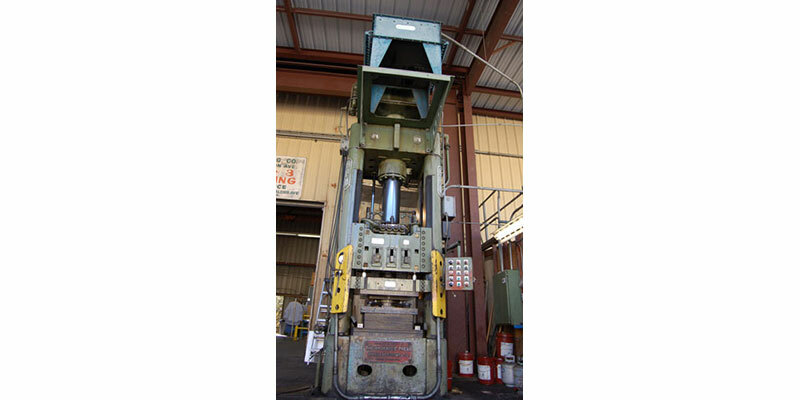 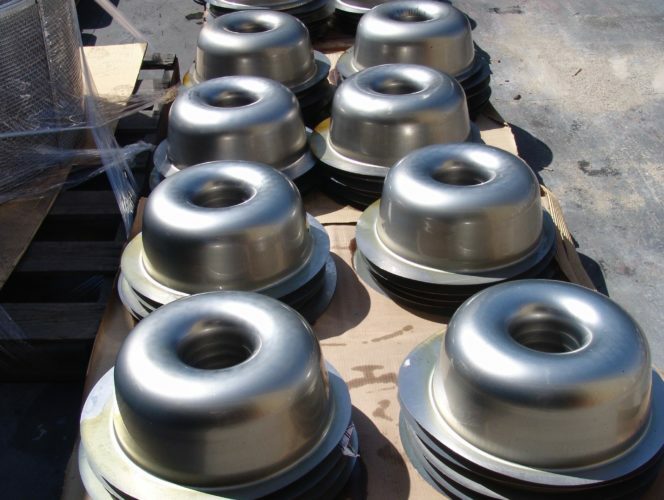 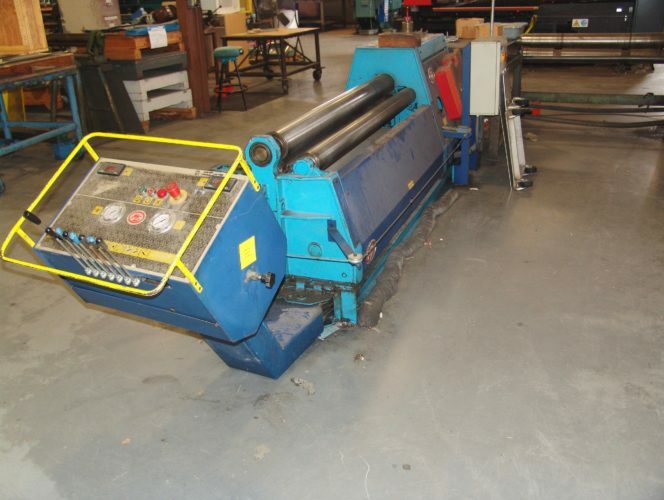 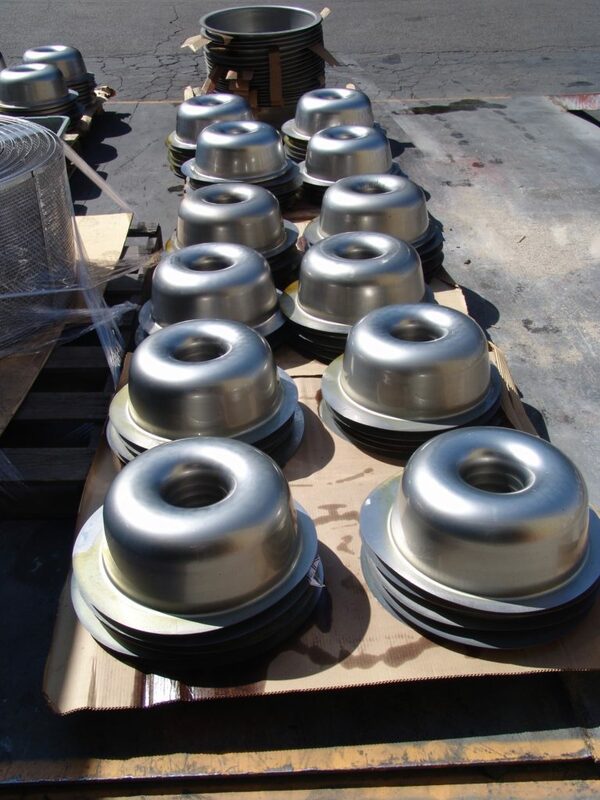 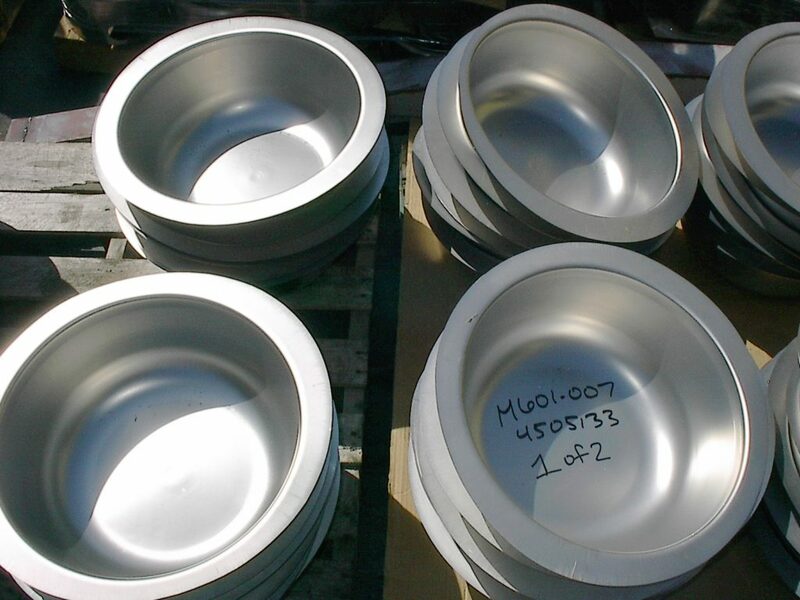 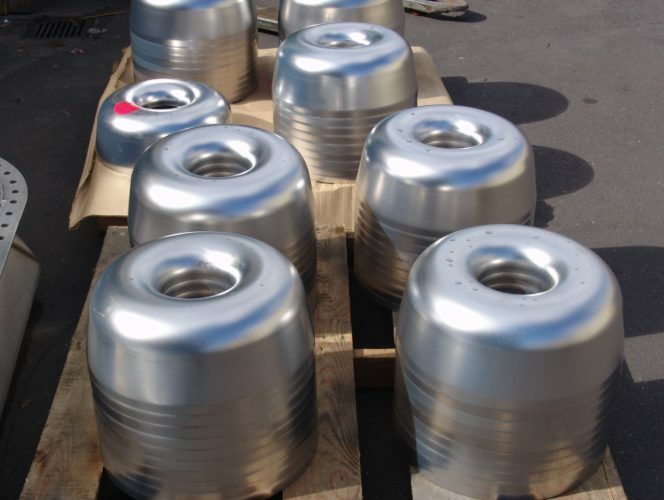 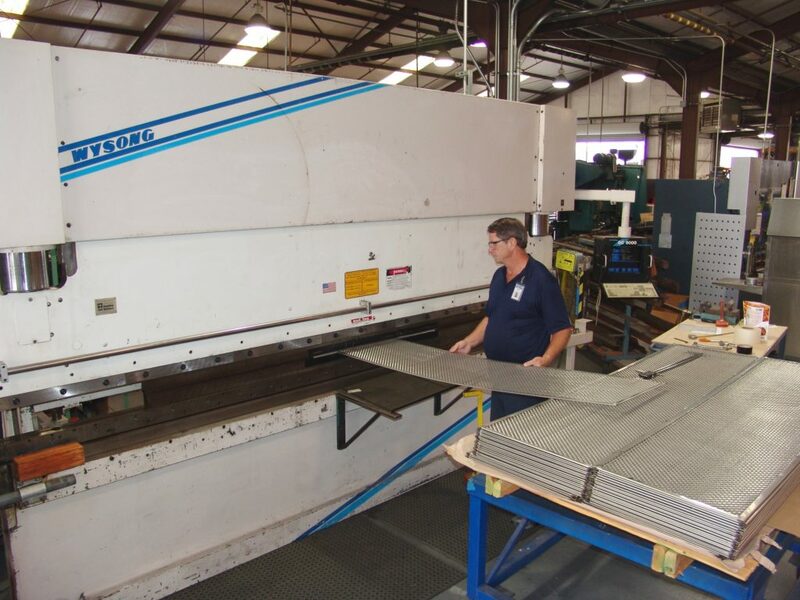 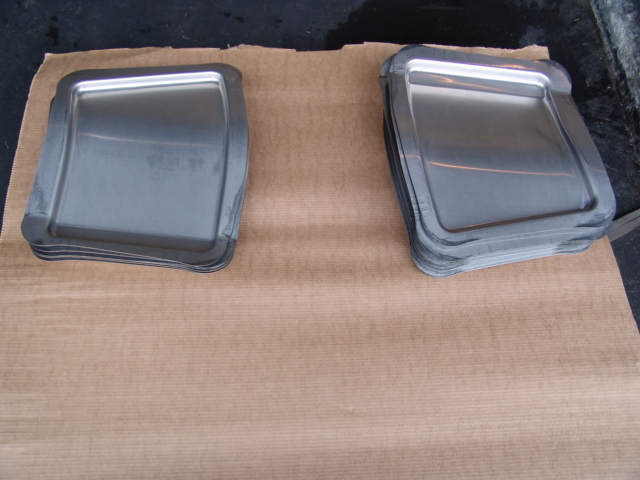 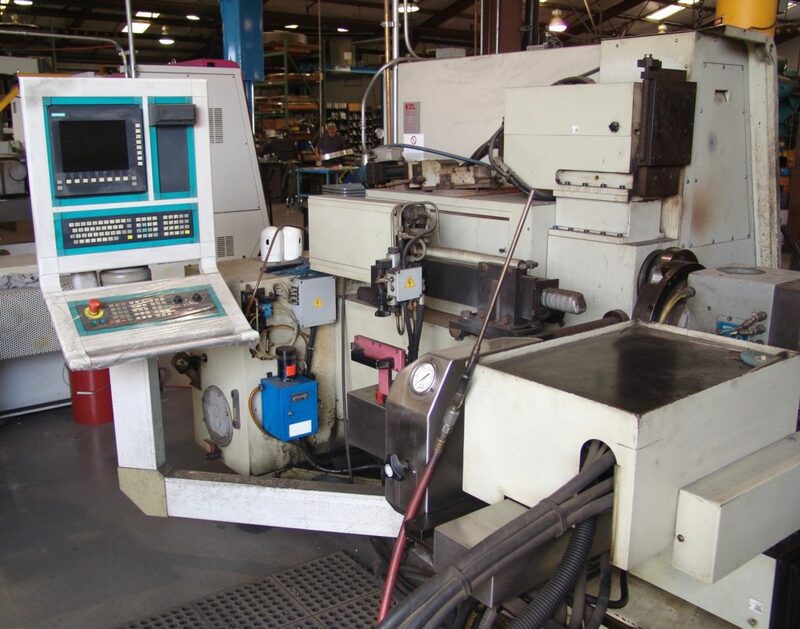 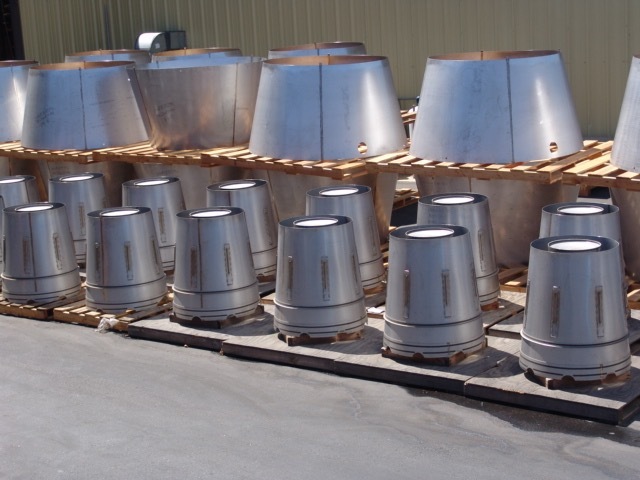 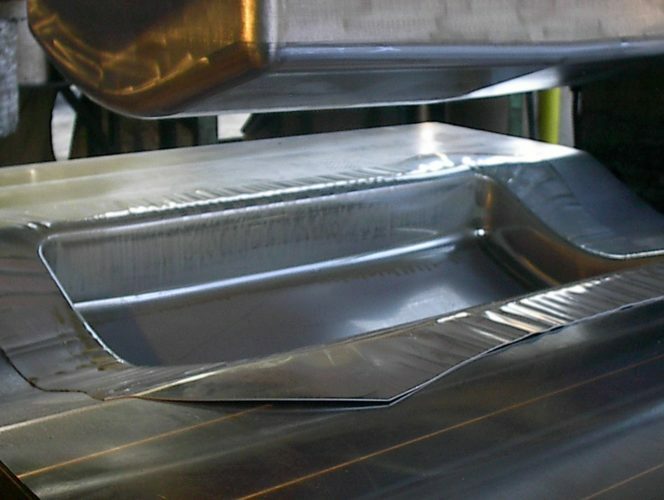 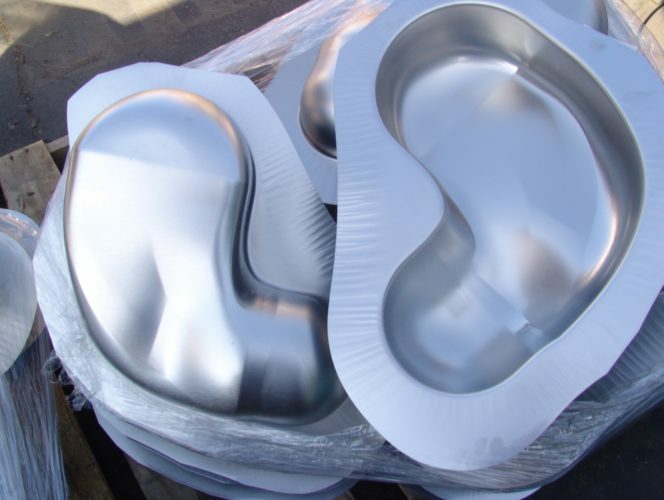 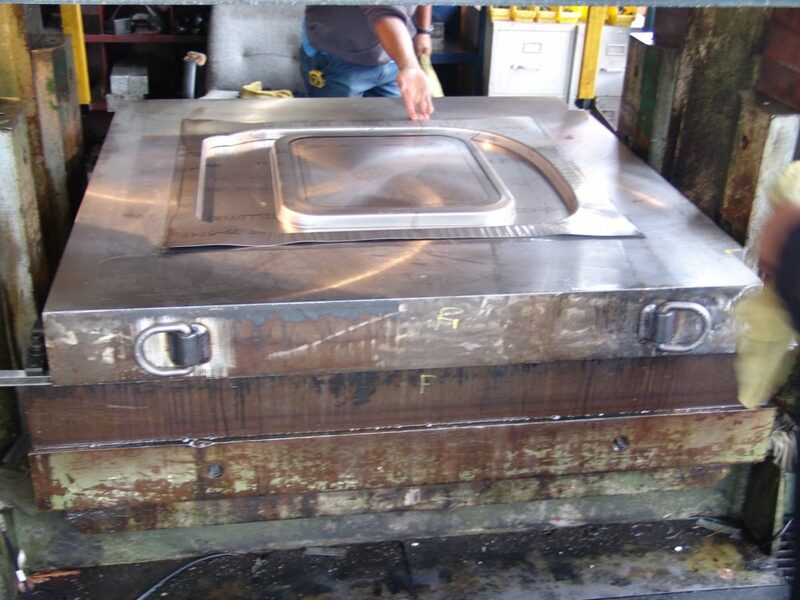 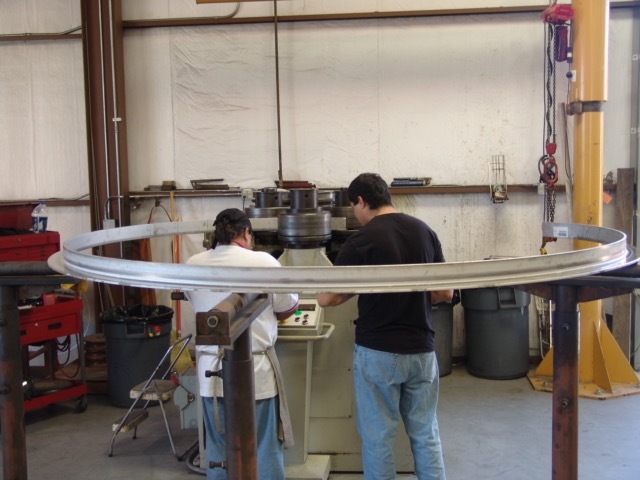 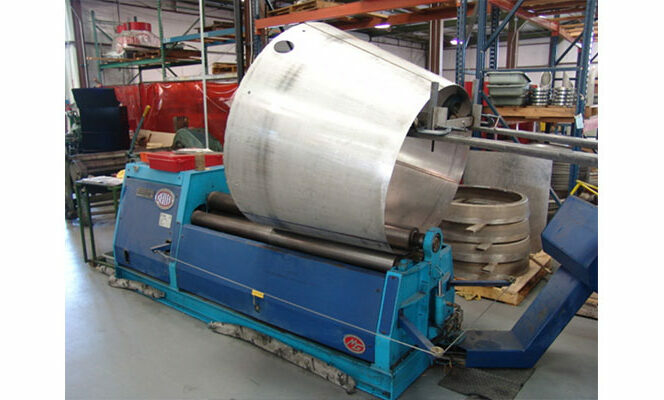 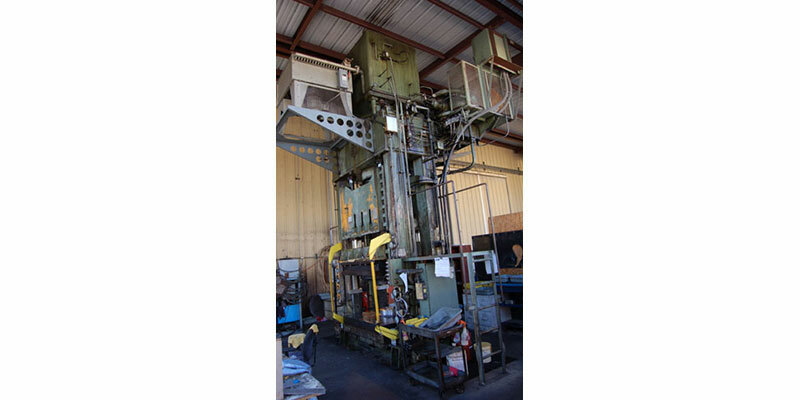 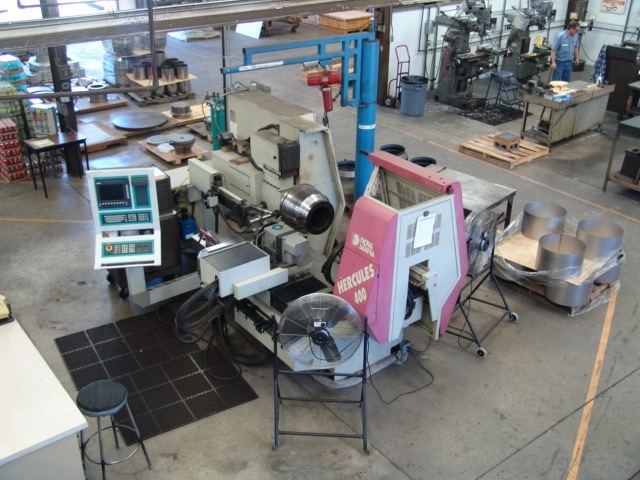 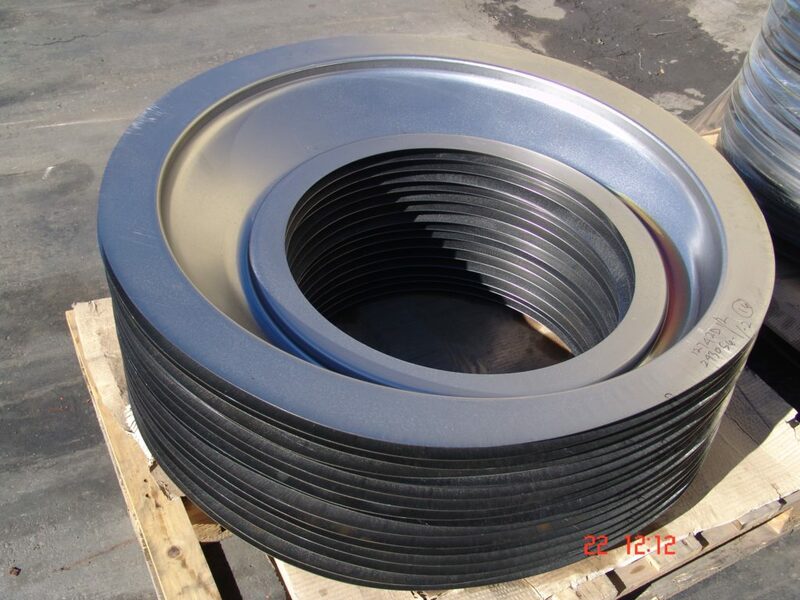 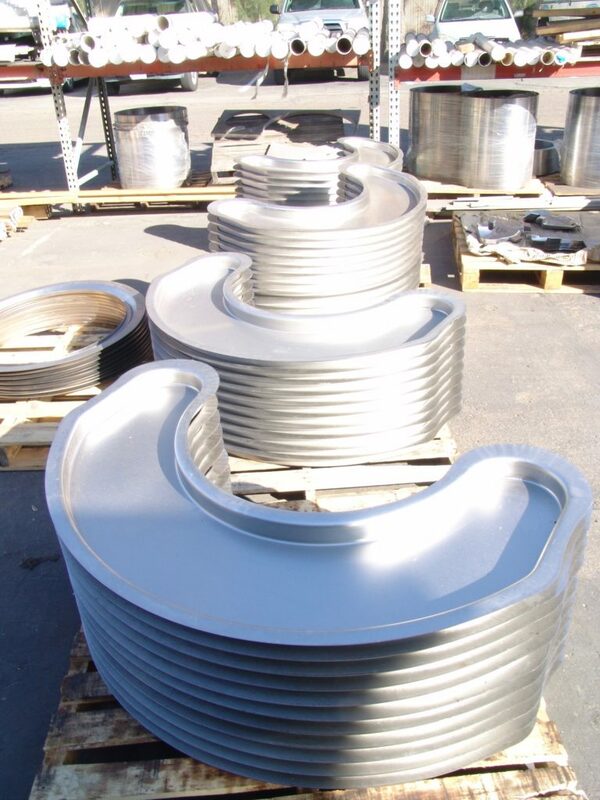 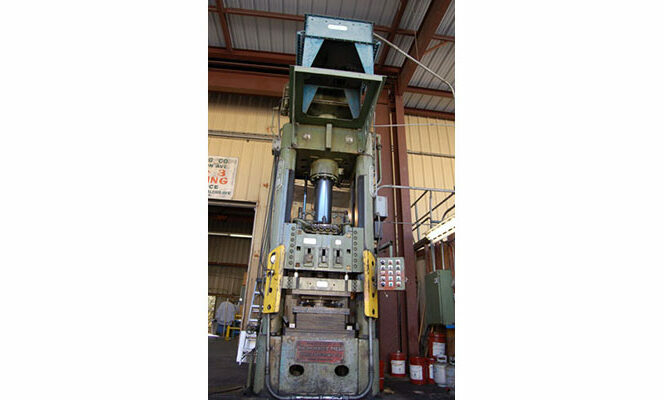 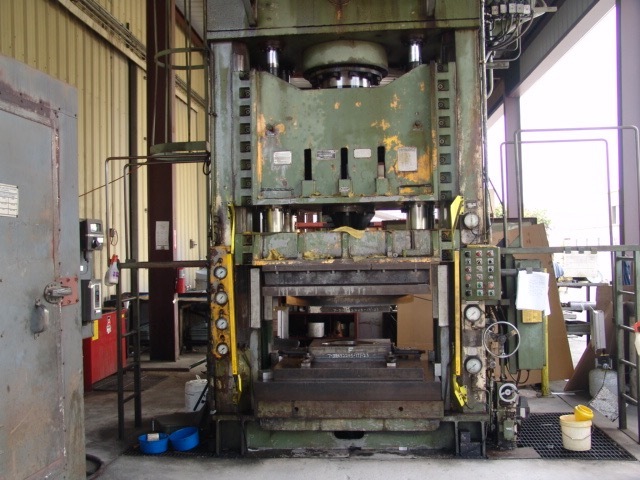 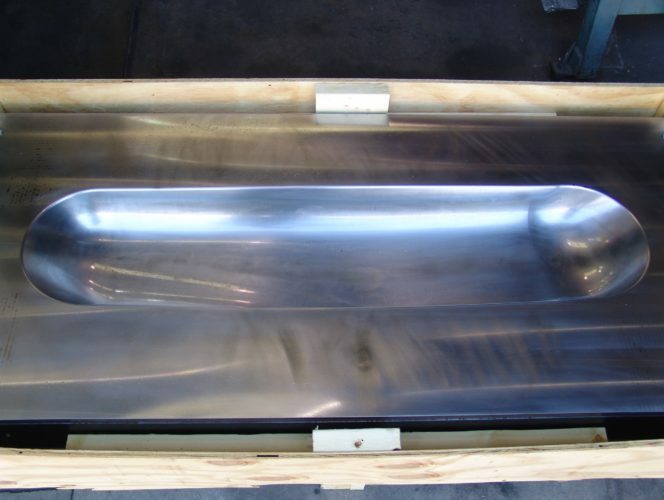 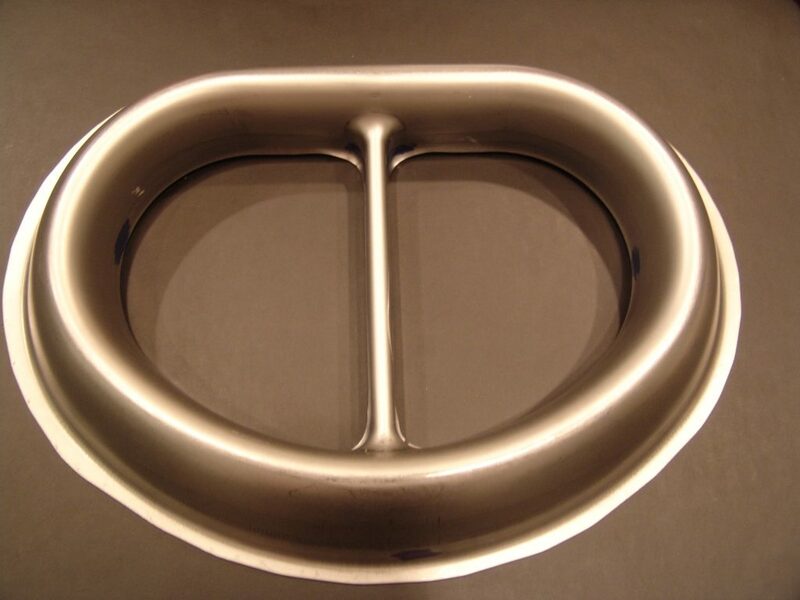 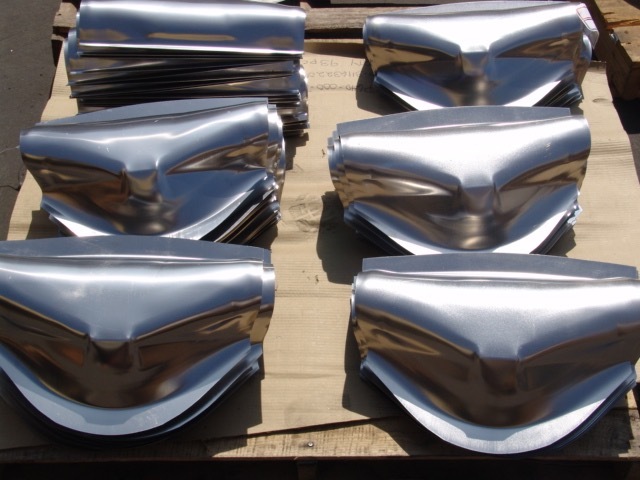 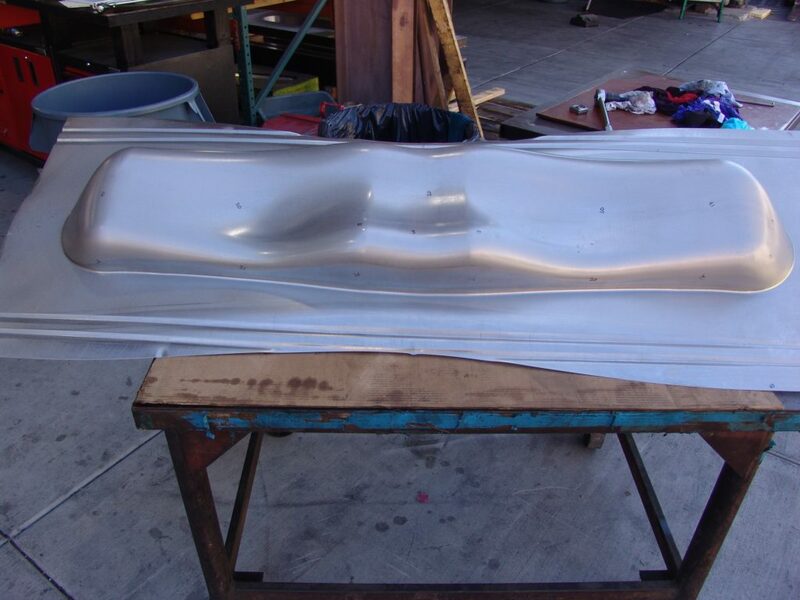 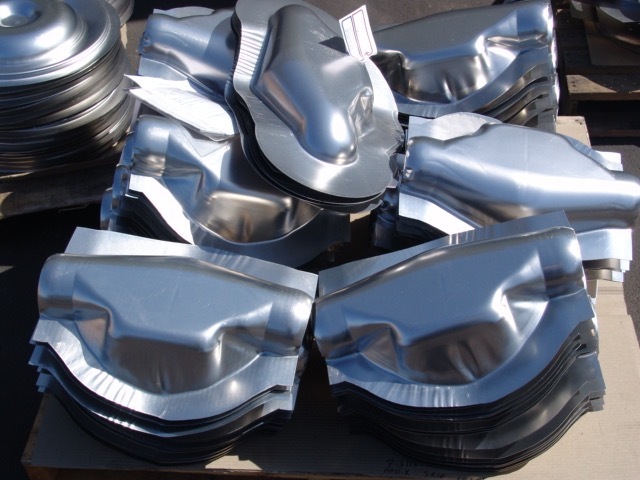 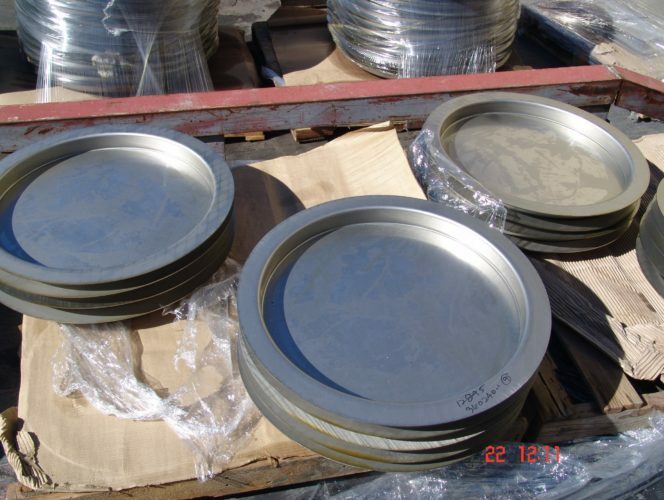 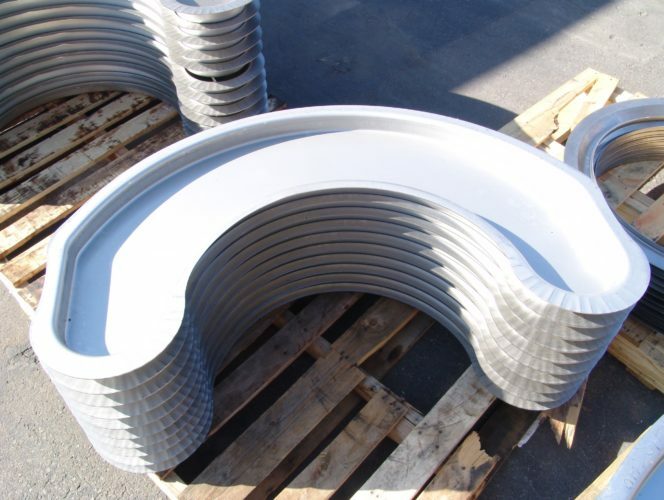 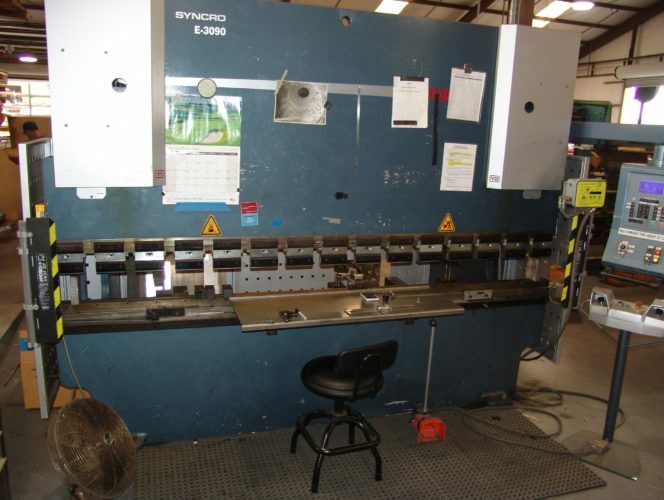 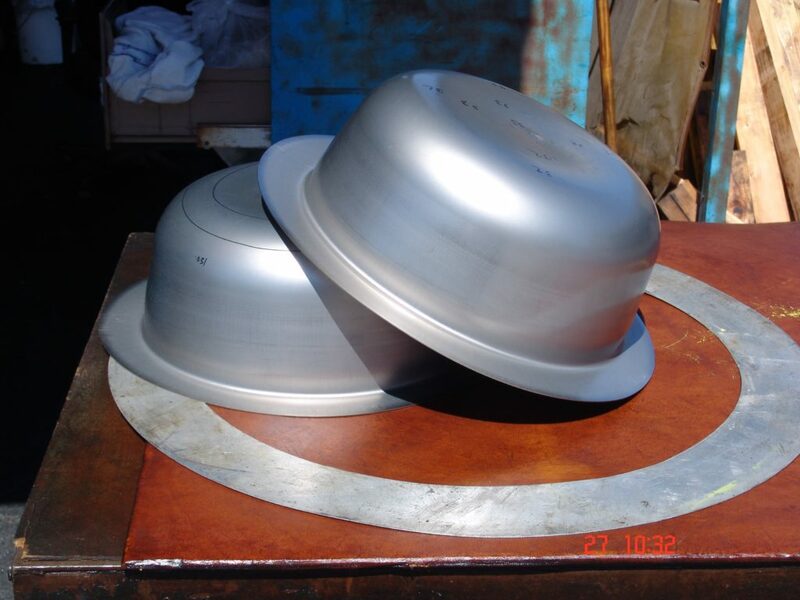 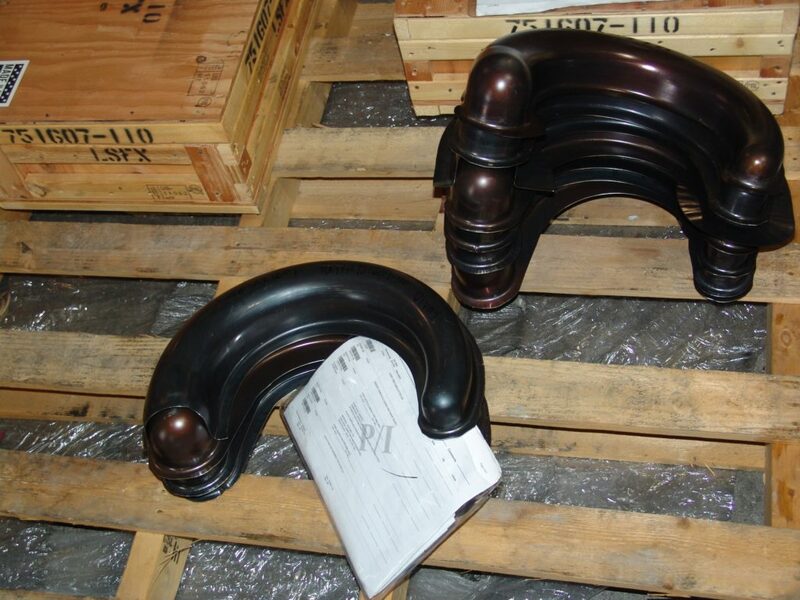 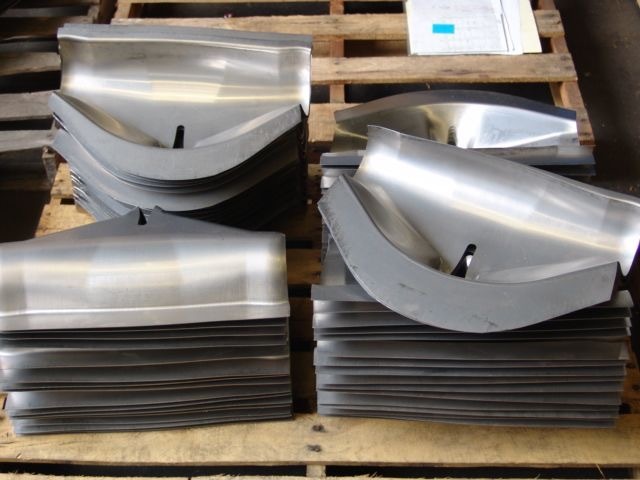 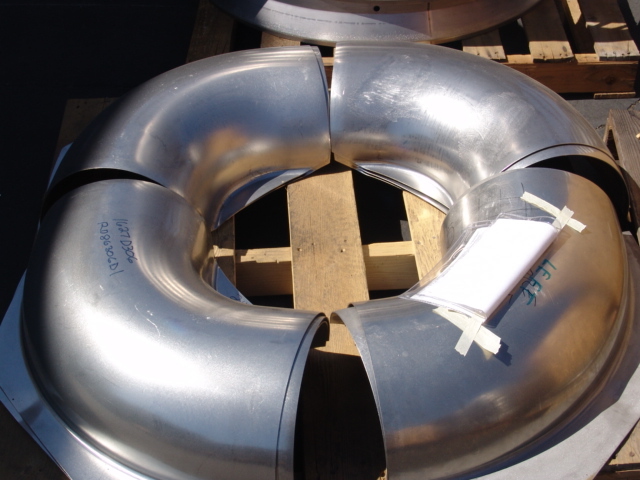 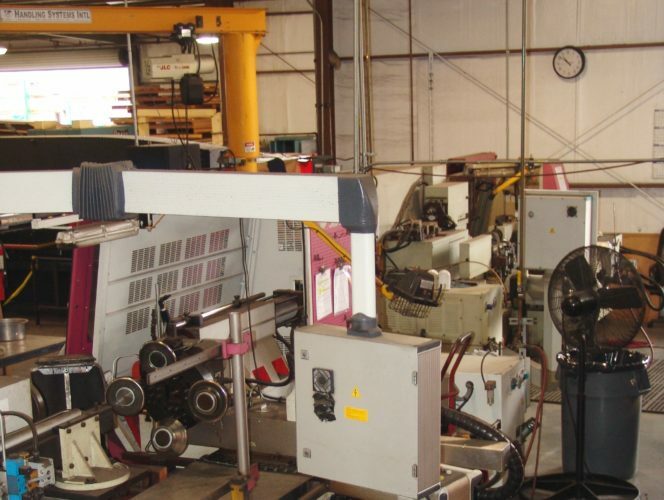 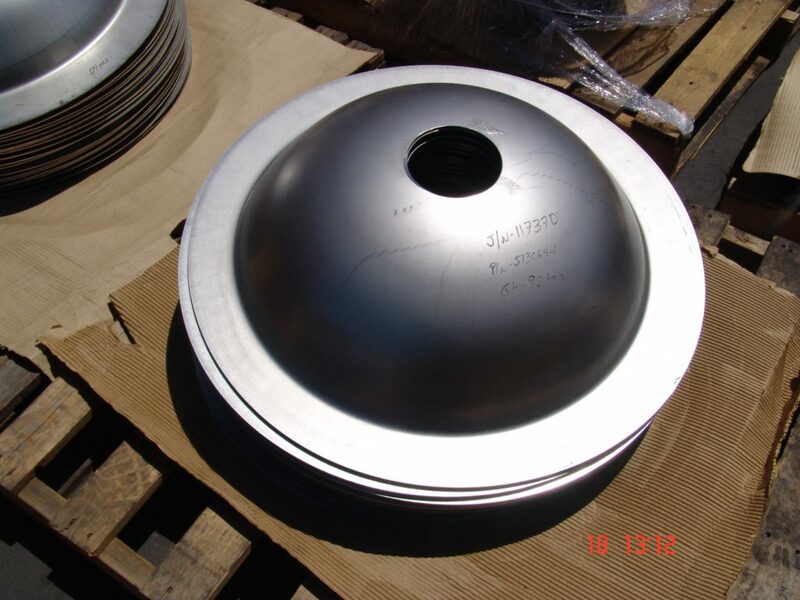 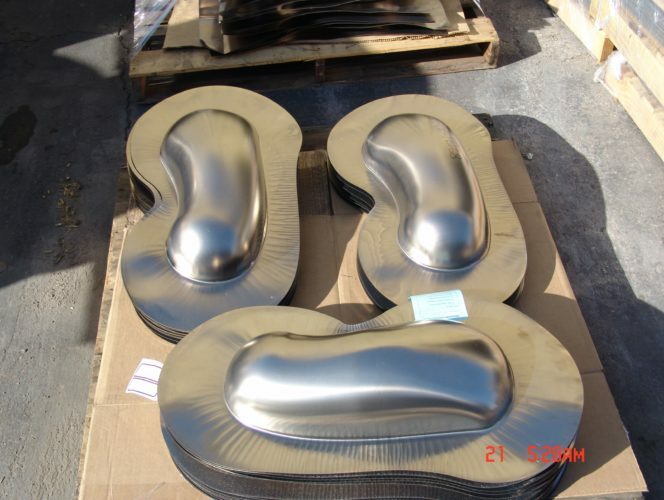 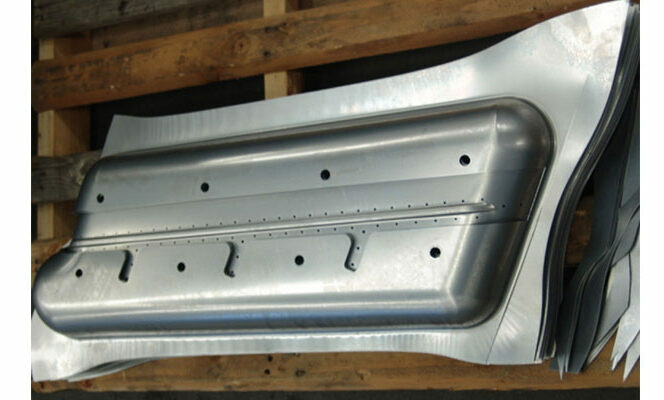 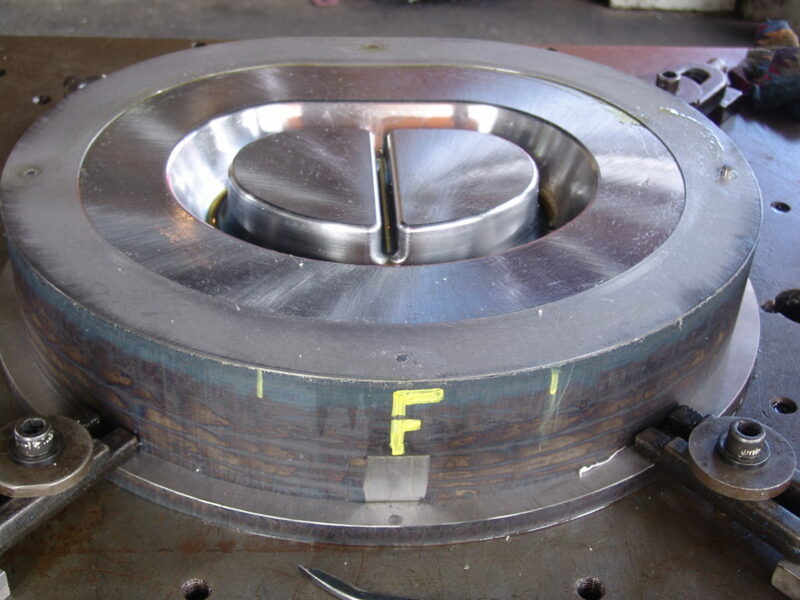 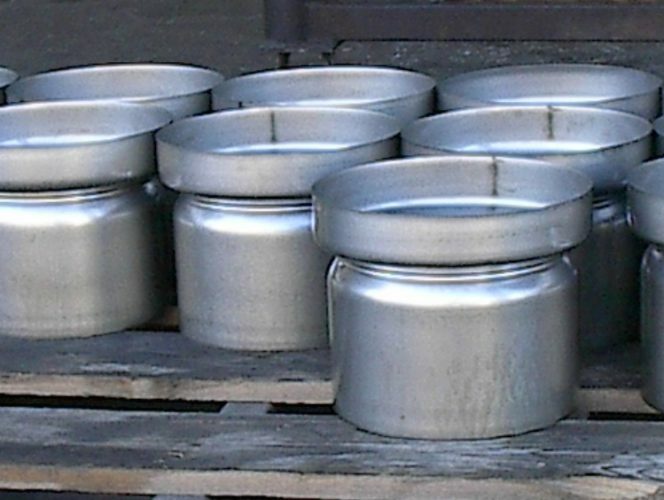 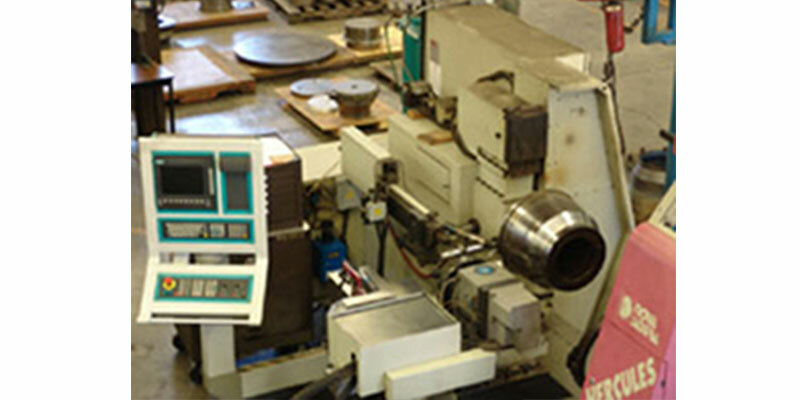 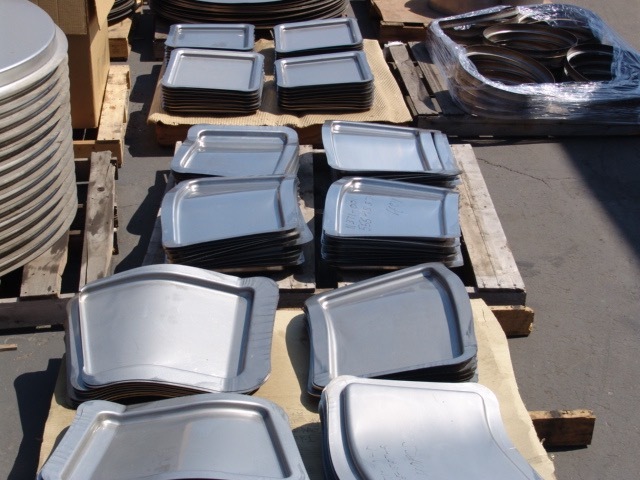 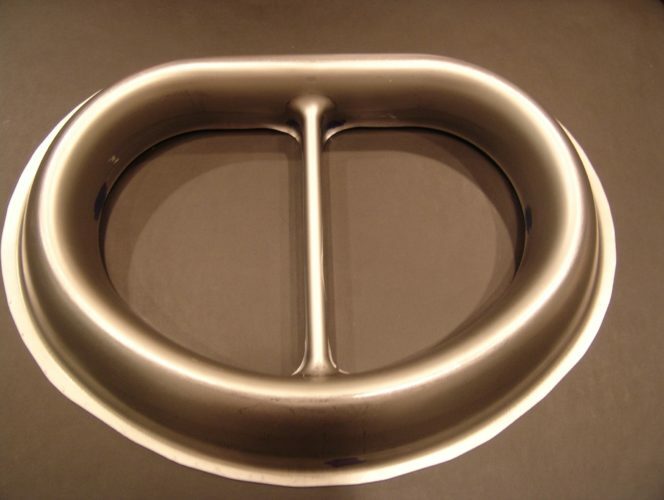 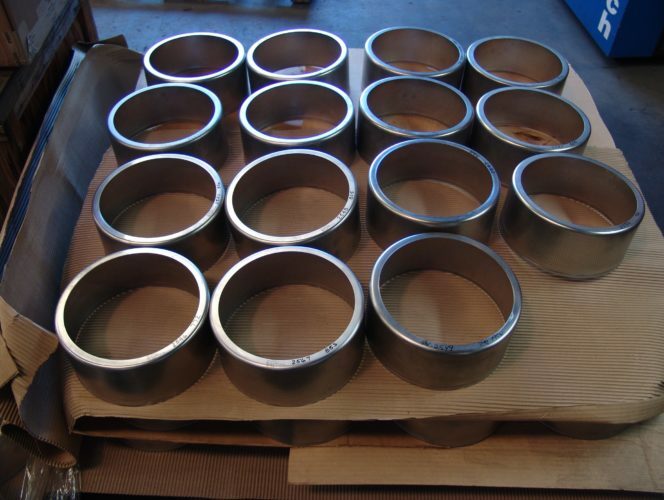 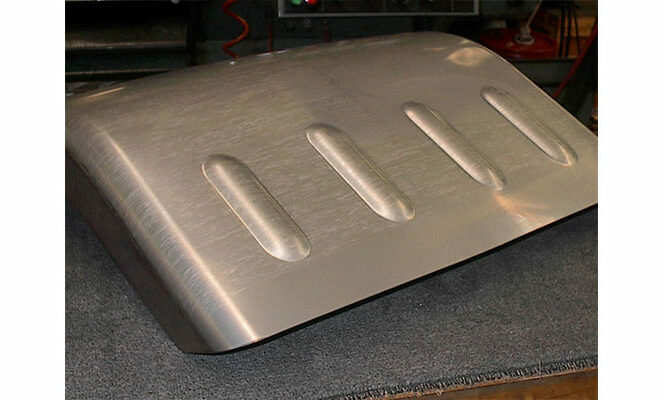 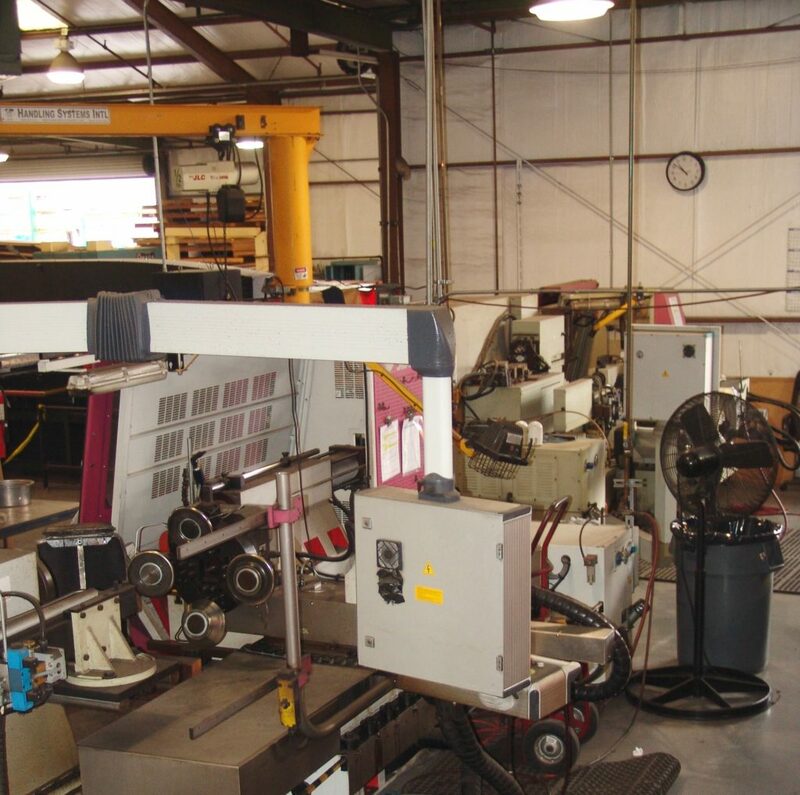 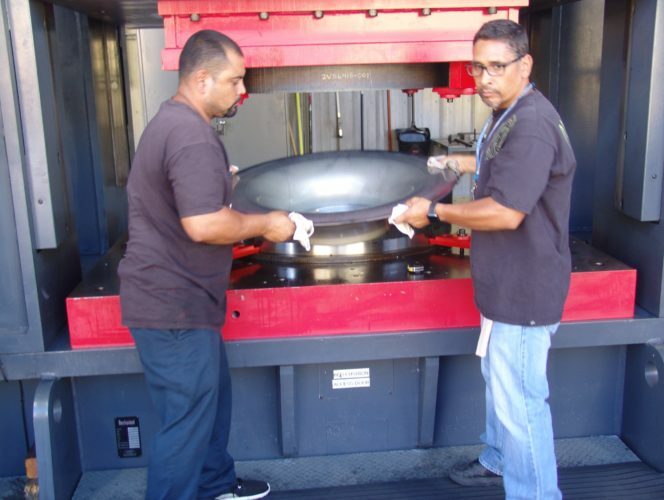 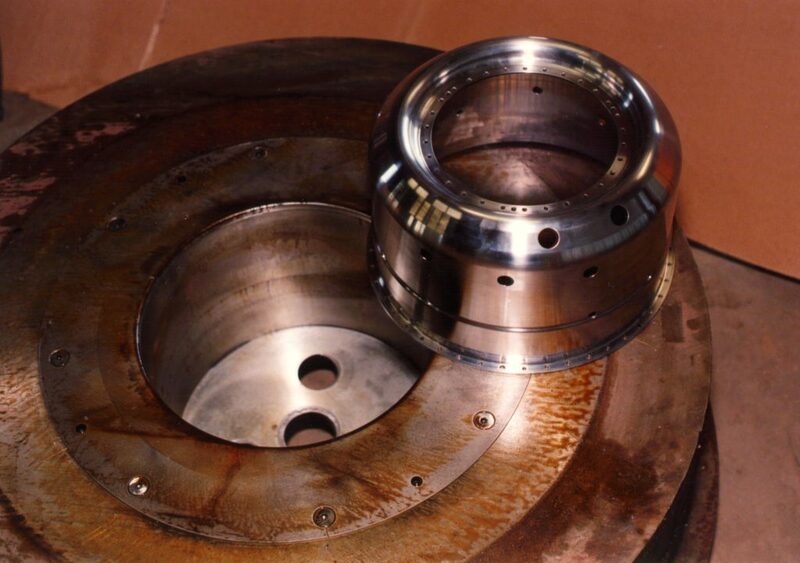 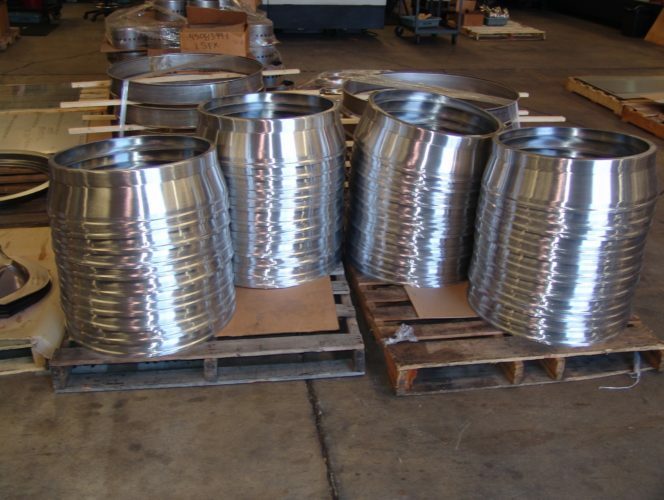 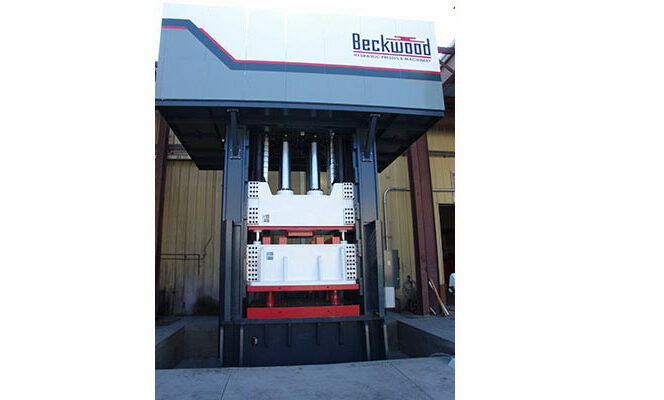 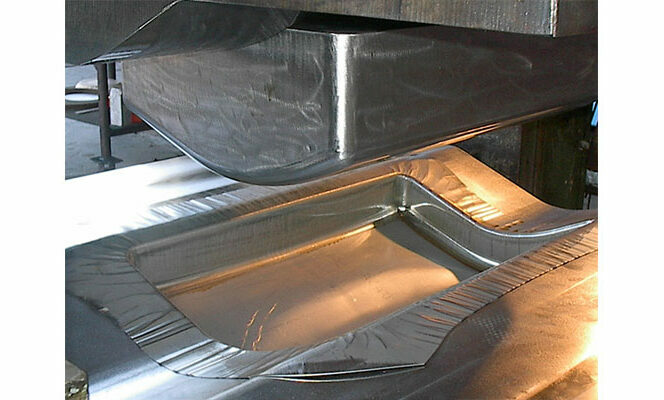 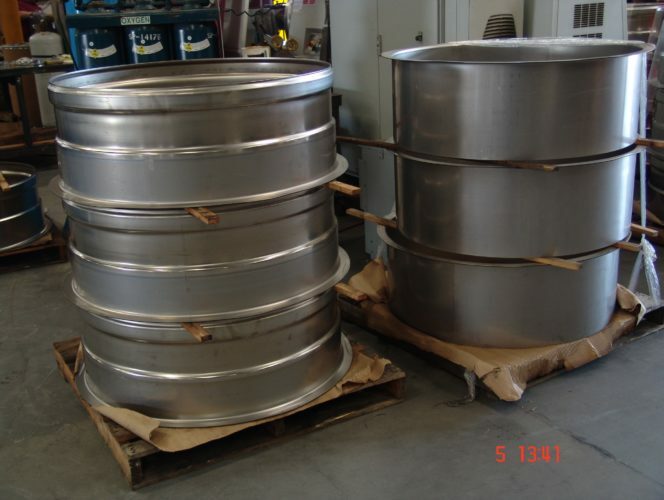 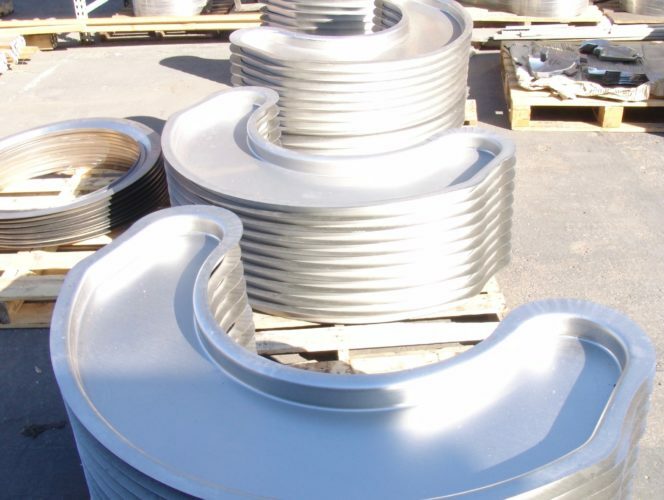 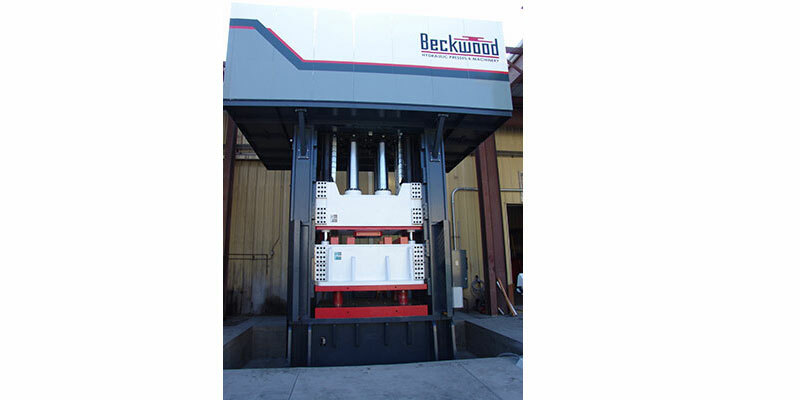 Weldmac has extensive in-house metal forming capabilities. 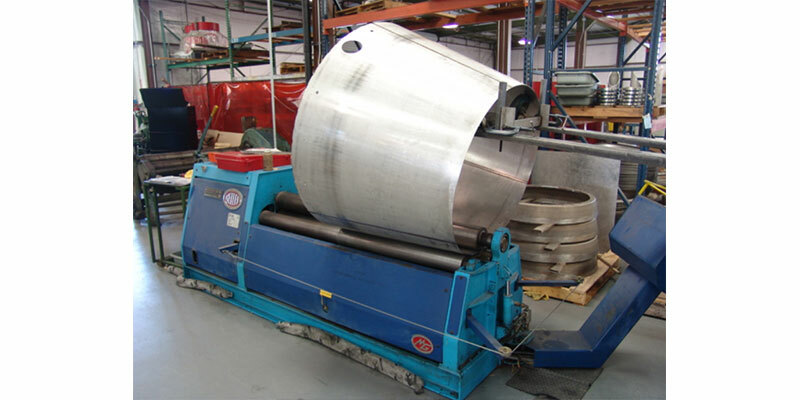 Weldmac’s success in metal fabrication is based on expertise, experience and a diverse inventory of state of the art equipment. 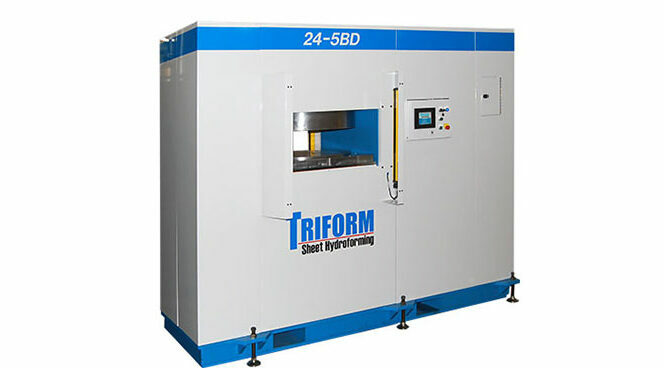 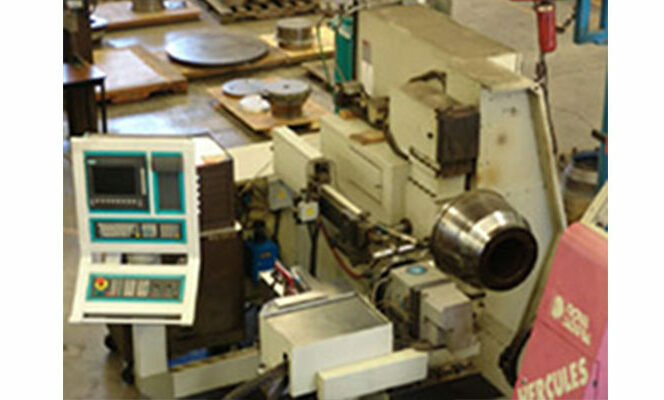 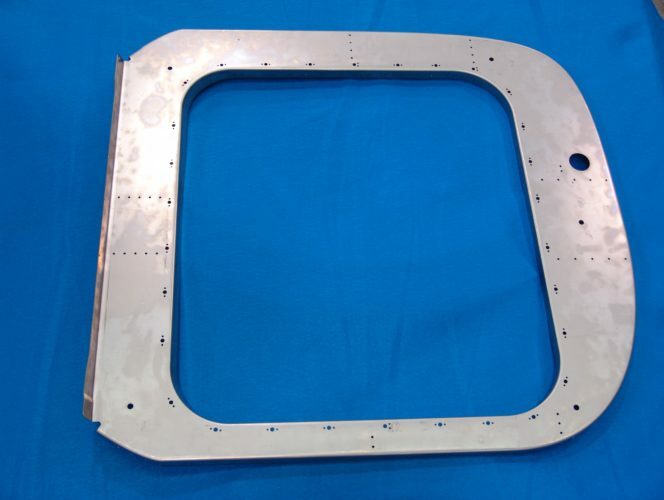 The predictability of the computer combined with the empirical experience, has caused Weldmac to be very unique in the draw forming process. 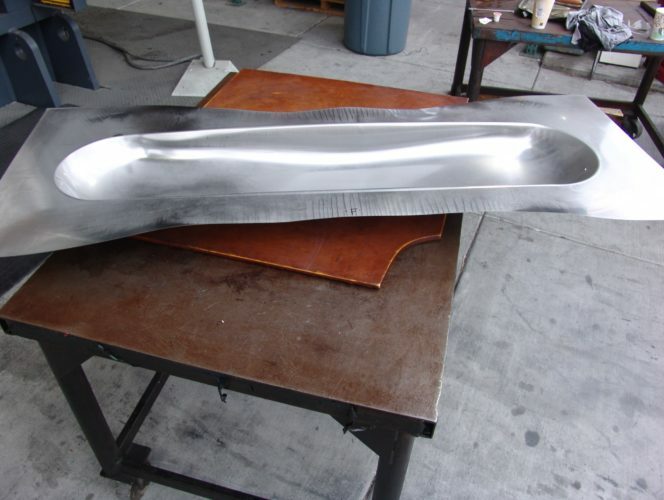 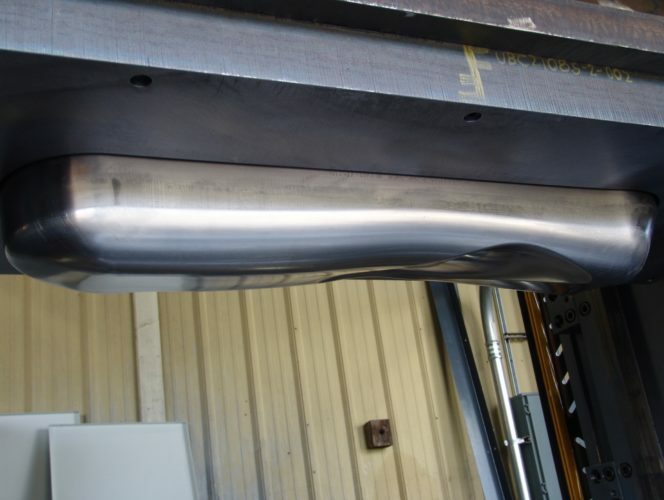 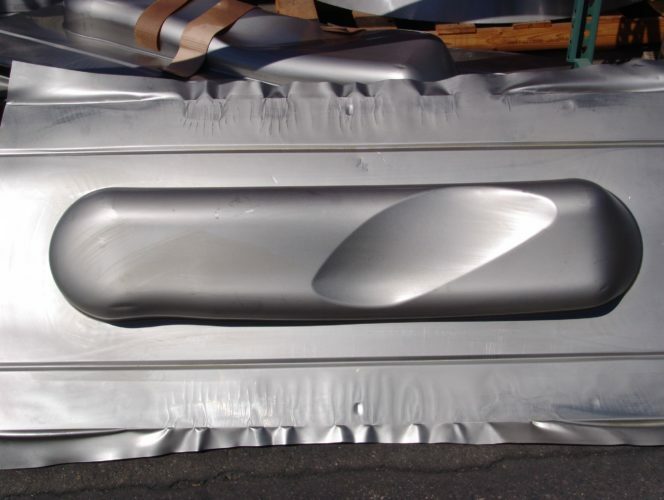 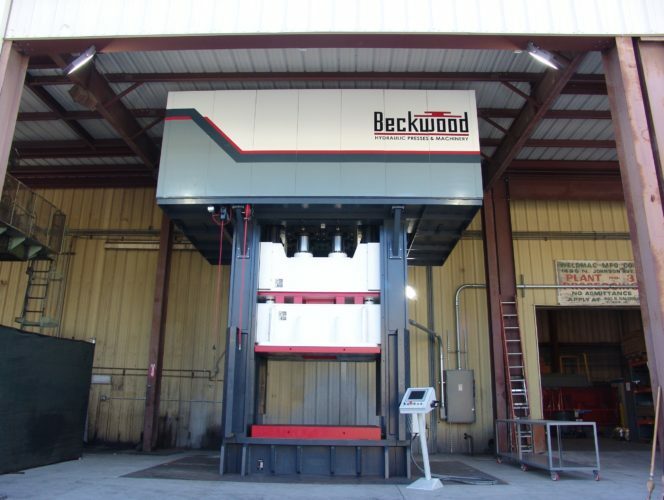 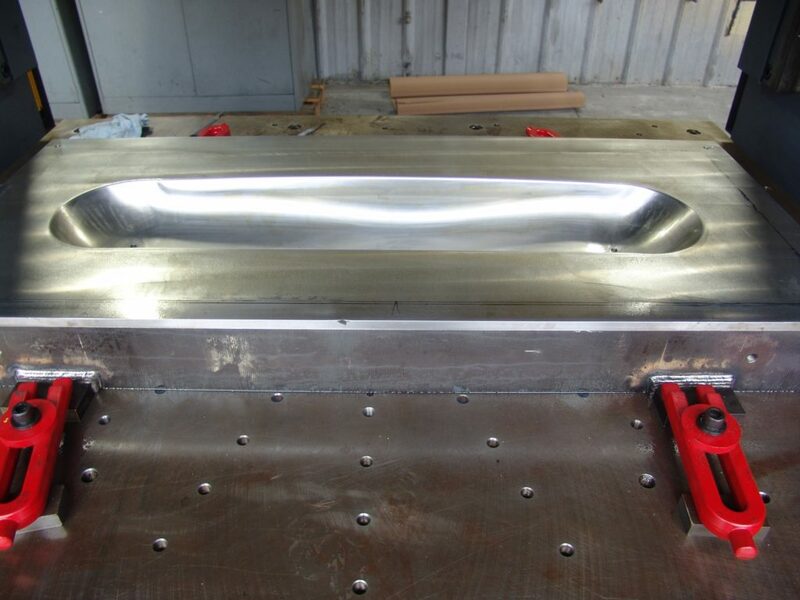 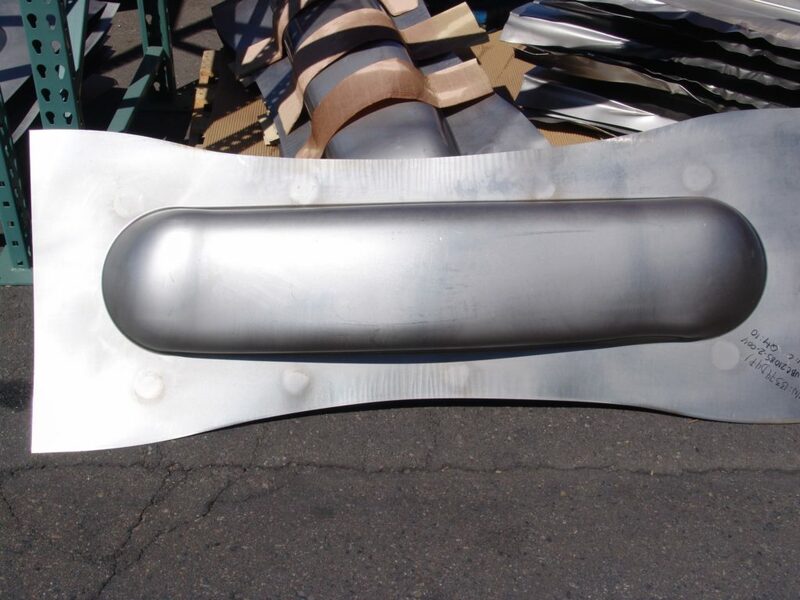 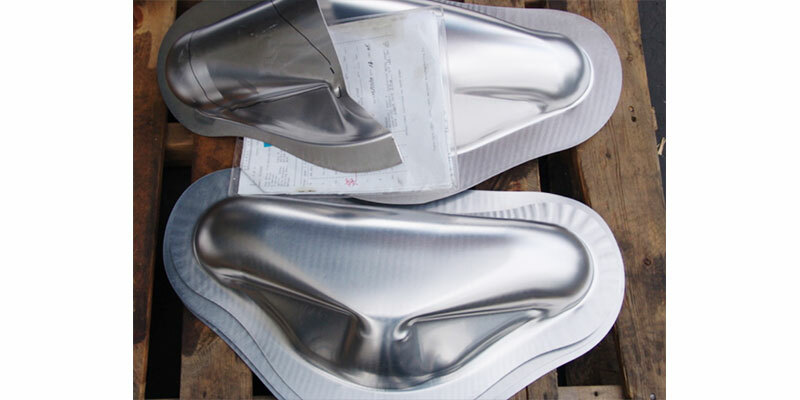 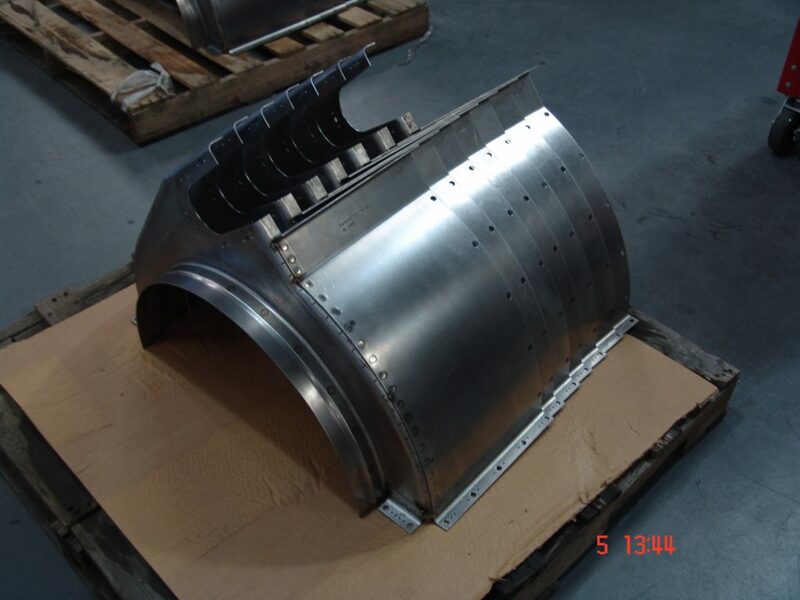 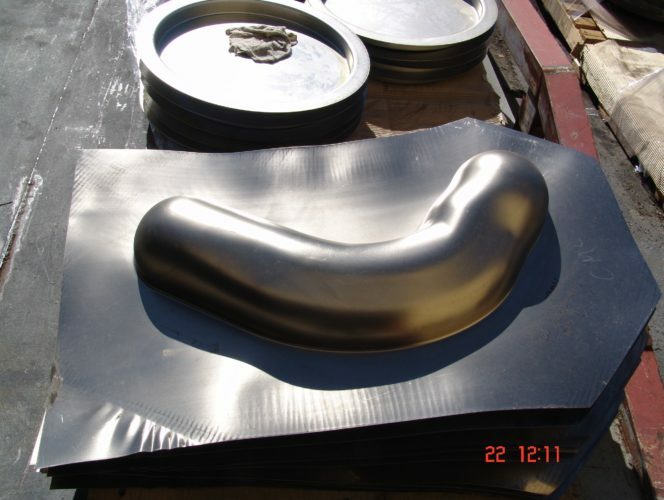 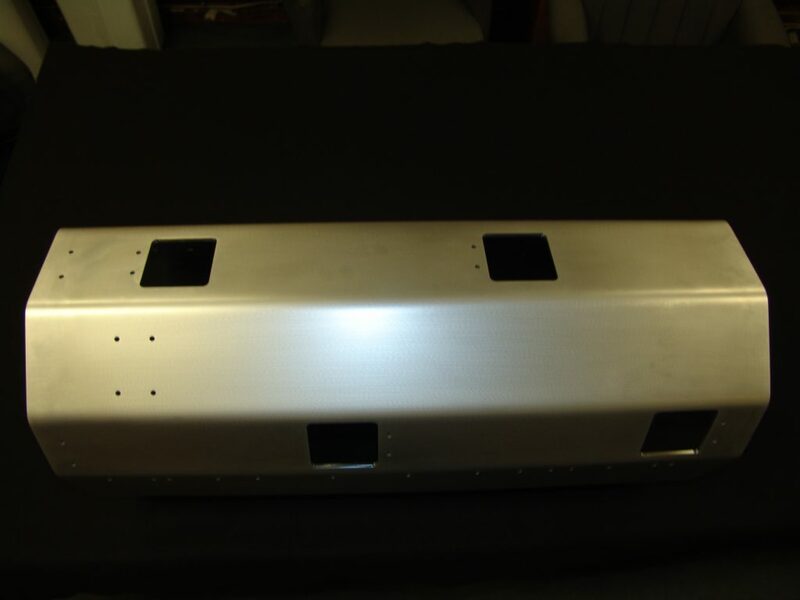 Weldmac has developed finite elements that allow the team to simulate the metal forming process to fully develop and compensate for the stress concentrations and thus localized thinning; this modeling process allows Weldmac to develop a customized sized and shaped blank. 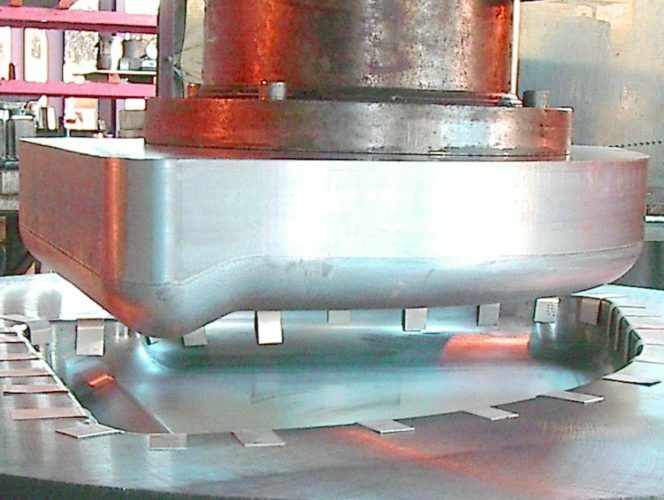 This modeling coupled with the vast experience of the forming operators has made Weldmac capable of successfully forming parts not possible by other processes. 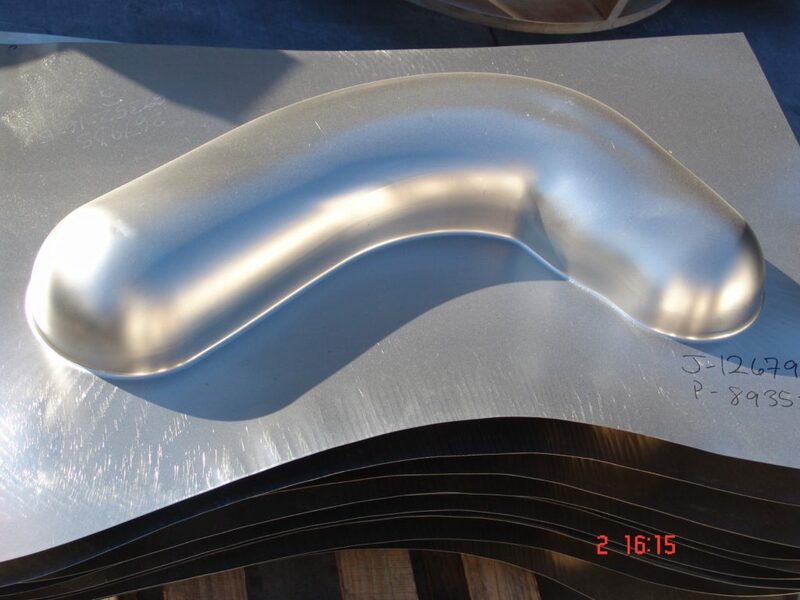 Weldmac’s unique experience in this arena that calls for customization of forming blanks shapes can only be obtained through 50 years in the industry. The solid modeling approach allows for cross sectioning of the components thus design and build of form tooling that is right the first time. The model serves to assist in press settings, identifies clearance issues, depth of draw, the rate of curvature on the surfaces and provides excellent insight to the process allowing for repeatable success. 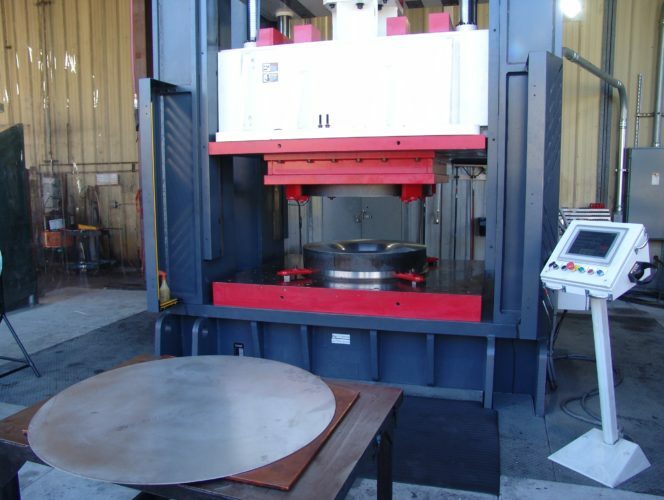 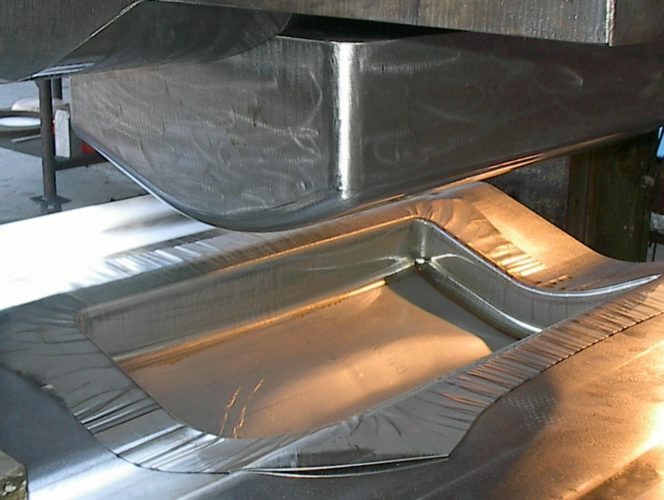 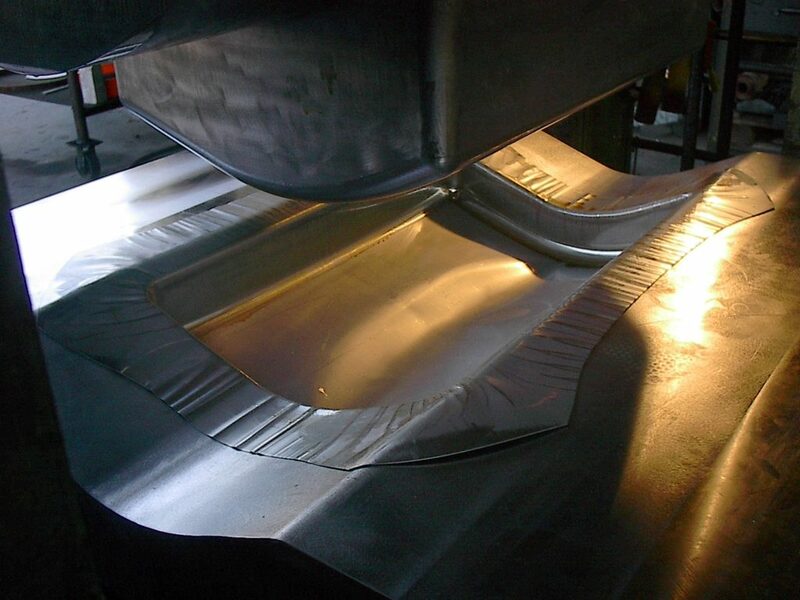 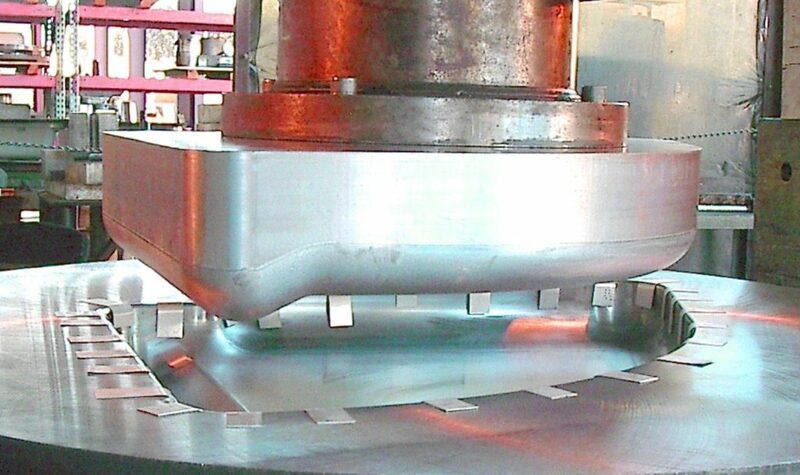 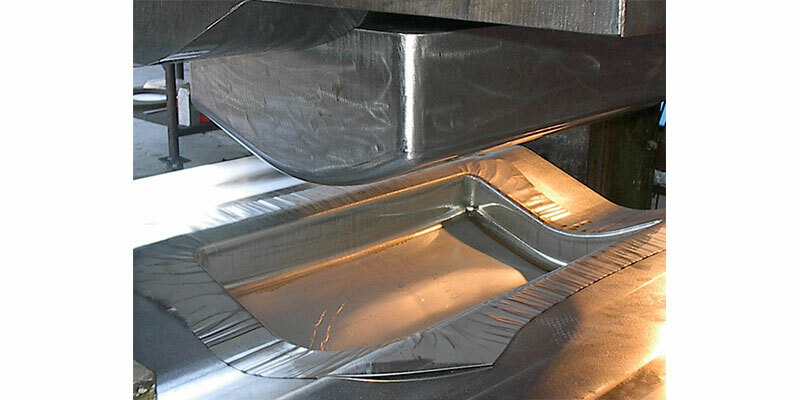 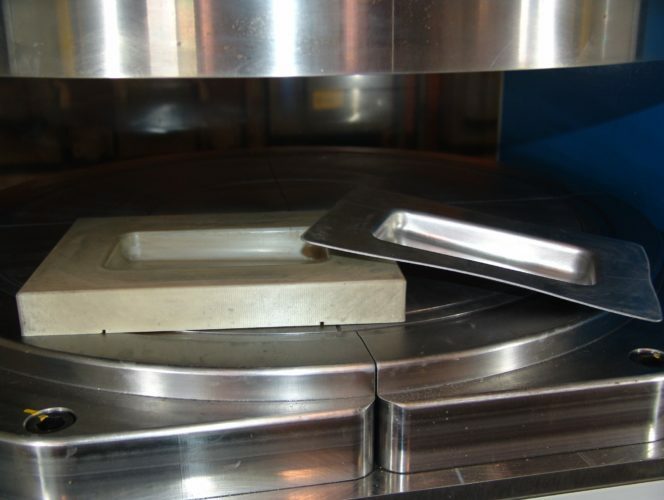 In compensating for material grain direction, individual heat lots of raw material and thickness variance, Weldmac plans for forming accomplish repeatability within .002” with a high degree of consistency. 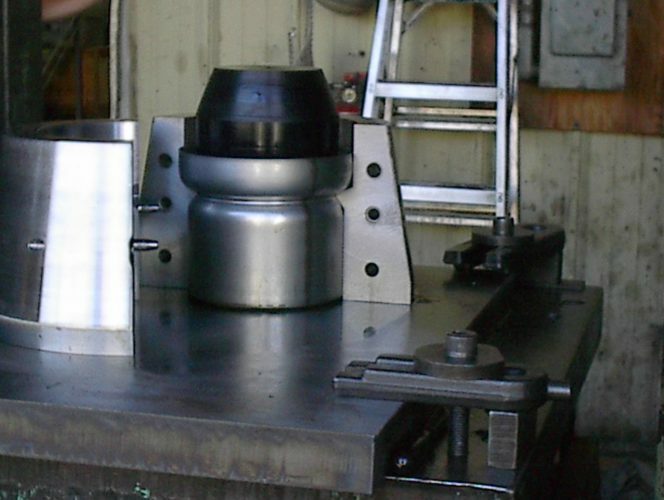 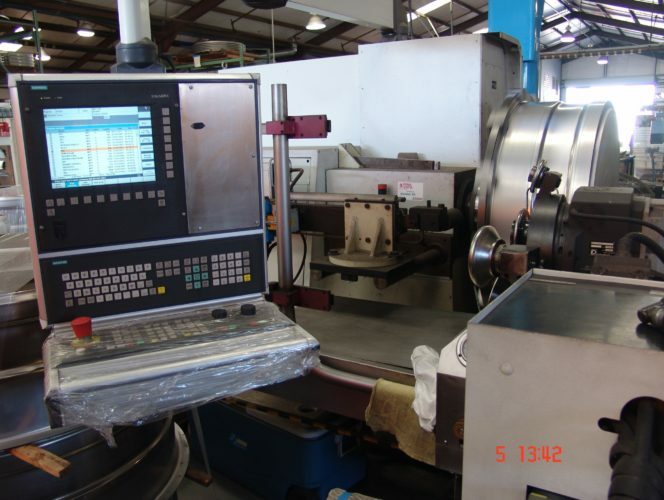 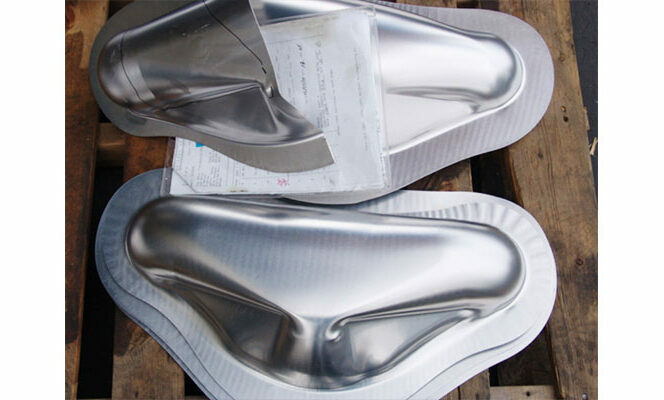 Tooling can then be designed in a way that the critical dimensions can be controlled.